$500 off any consecutive weeks available. Ideal Location!! 1 mile to Edgartown Great Pond, 1.5 mile to Edgartown and 1.8 miles to South Beach. Close to bike path, Right Fork Diner, Katama Store, Edgartown Great Pond for fishing, clamming, swimming, kayaking etc. and Morning Glory Farm. 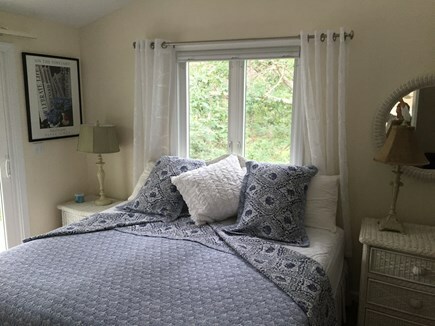 Enjoy a relaxing week(s) in a neat,clean rental home located in the popular Katama section of Edgartown. The house has AC and heat throughout. 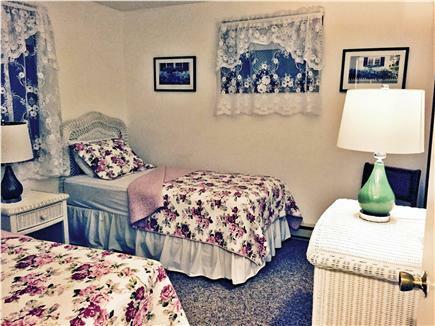 The upstairs master bedroom suite has a king bed, flat screen TV, a twin trundle bed, adjoining renovated tiled bath, and a slider to a private deck. There's a small computer desk area outside the MB. 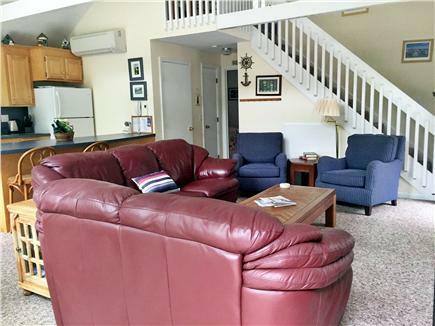 The main floor has a fully equipped kitchen, dining area, counter breakfast bar, comfortable living area with sofas, a 42'' flat screen TV, free Wi-Fi, cathedral ceilings, and a stacked washer/dryer closet. 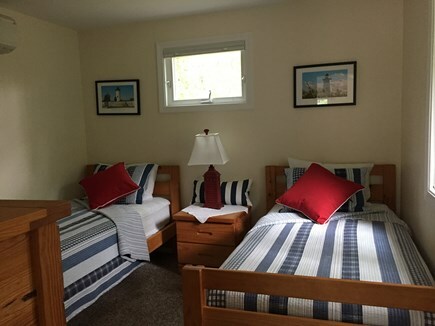 The two bedrooms on the main floor can have twin beds or king beds for multiple couples. The main floor also has a newly renovated full bath. Sliders from the main floor lead to the large wrap-around deck with flower boxes, gas BBQ, patio table and chairs, Adirondack chairs and beverage tables. The large outdoor enclosed shower is airy,clean,comfortable and inviting with a bench seat,foot and body shower heads: perfect after a day at the beach. 6 Beach chairs and 2 beach umbrellas are provided for your use. The house is an easy bike ride, short drive, or 1-2 mi. walking distance to South Beach, Main Street Edgartown, Edgartown Great Pond,the bike path, the Right Fork Diner,the Katama General store, Morning Glory Farm, Edg. Library, playgrounds,ball fields, fish and grocery stores, tennis courts and more. The center of town has many great shops, a movie theatre, markets, coffee shops and restaurants. Come enjoy all the Vineyard has to offer. 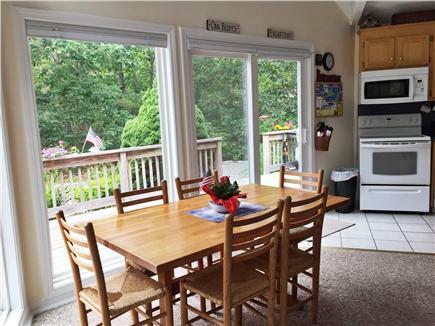 Updates this year include: new BOSCH quiet dishwasher, new stacked BOSCH washer/dryer, newly installed windows,power washed decks,newly painted inside and out, new small kitchen appliances, new bedding,new BBQ,new umbrella for deck table, etc. Additional availability info: Off Season rentals can be minimum of 2 nights. This is a Saturday to Saturday vacation rental. Additional pricing info: $100/wk off 2+wks: Fees: Linens $200, cleaning $150. St.Tax=5.7% Local Tax =4%. Ferry Tkts. availabl, State and local taxes of 9.7% will apply. Love, love, love the Vineyard in the fall! And love staying at Joanne's Edgartown house. Have been Joanne's guest for the past few years and the house is always impeccably clean and organized. Joanne is a pleasure to work with. 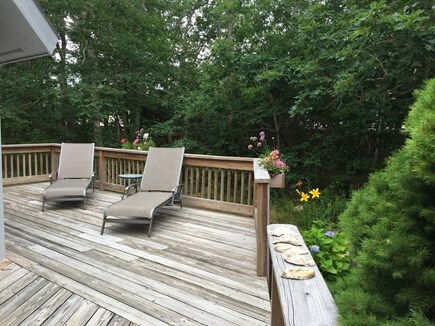 The home is convenient to Edgartown, South Beach, Morning Glory Farm and bike/walking trails. 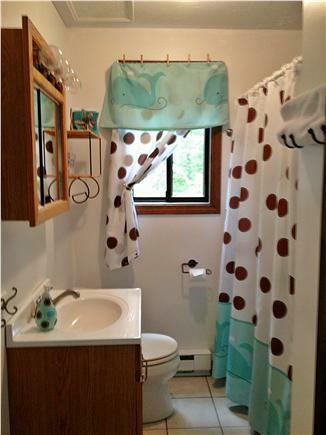 It accommodates 7 easily, so when the kids and grandkids can make it, there's plenty of room. New washer, dryer and dishwasher and this years's improvements. We have rented several homes on The Vineyard and this was hands down the best. The layout is great and we comfortably had 6 people with us. The deck wraps around 3 sides of the home and has several seating areas to relax with a drink. We loved the location! It's 2 miles to the beach and Morning Glory Farm. The home was freshly painted and immaculate. The kitchen is well stocked and thoughtfully arranged. The central air was a blessing on those humid days. Excellent place to stay. Joanne was very accommodating and took great pains to ensure that or stay would be enjoyable. The house is very clean, and the owner ensures that the place is well maintained. Thank you and hope to stay there again soon. "We had a wonderful time during our week-long stay. The house is in a very convenient location, just a few minutes from South Beach and downtown Edgartown. The house is impeccably clean and has all of necessary conveniences - we'd definitely love to come back!" This is a wonderful house in a conveniently located area of the Island. Located between Morning Glory Farms and South Beach this has been a favorite rental of my family for over 5 years. The home's open floor plan and extensive deck provide the perfect vacation atmosphere. Additionally, the attentive owners keep the house in tip top condition. It is by far the cleanest vacation home I have ever been in! We will be back there again !" We had a great week. Perfect weather. The house was comfortable and location awesome. Thank you!! 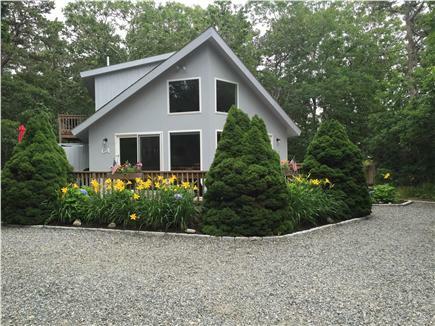 Retired professionals living in Oak Bluffs, Martha's Vineyard and now offer their Katama Vacation home for rent. We have personally rented out the Katama vacation home for more than 20 years and personally greet and introduce all our clients to the house . 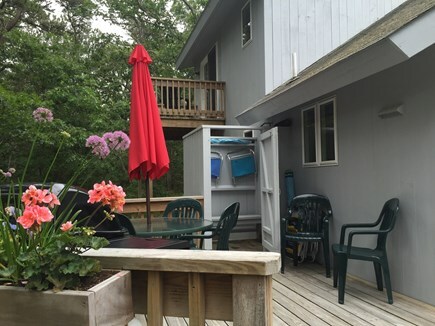 The vacation house is ideally located between town and beach, near Edgartown Great Pond. 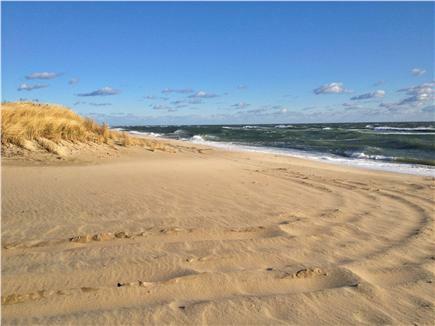 It's perfectly situated near the newly paved Meeting House Way to quickly reach the Edgartown/West Tisbury Road bike path, all the other island towns, galleries and beaches avoiding the center of Edgartown. Edgartown is a quaint small town settled by whaling captains. It has every amenity you can imagine, from boutiques, a scenic harbor, galleries galore, beautiful library, ball fields, playgrounds, beaches, a lighthouse, the chappy ferry,book stores,library, museum, ice cream shops, movie theater, cannonball park, restaurants, a wharf for picnics and fishing and so much more.